Quiet Club is a monthly meditation group which provides quiet space for people who want some time away from this noisy world. There is a warm welcome, with refreshments provided. Then the opportunity to sit and enjoy peaceful surroundings, and a mindfulness meditation activity. Next Quiet Club, MK – Wednesday 16th January 2018, 6.30pm MK. Full list of dates. 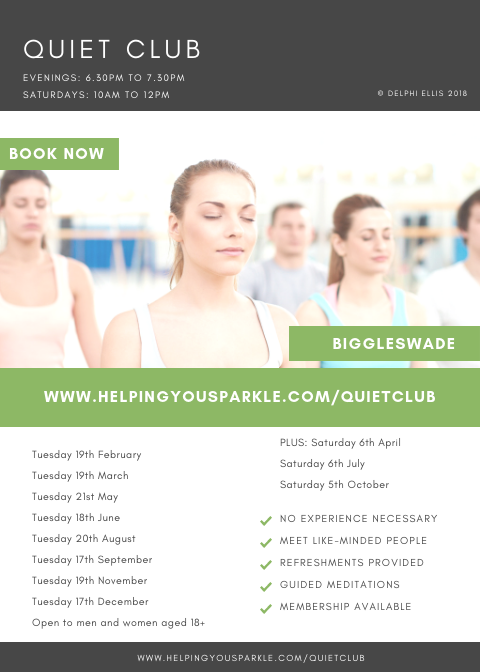 Next Quiet Club, Biggleswade – Saturday 26th January 2018, 10am to 12pm. Full list of dates.